Rate: 1, 85000/-+Vat + Packing and Transport. Surfacer , Thicknesser With Blade Grinder (Combine) MSTB 18"
Length Of Surfacing Table: 48"
M M: 450" x 200"
Blades for cataract or operations are very typical, small and precise parts to manufacture. so many critical dimensions to be maintained with appropriate surface finish. Normally blades were manufactured manually. we are providing high quality and precision BLADE GRINDING MACHINE. we have solution for confectionery machine blade grinding that have cut the paper and foil paper for packing candy. Also we can grind the blade thet cut the TOFFEE. It can be attach with surface, thickness and combined motor pullies. 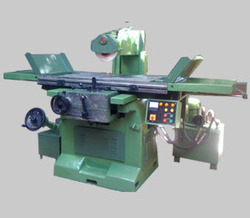 blade grinding machine is sturdy and versatile also very easy to operate. It can grind candy and toffee wrapping machines paper cutting blades easily. It occupies very less space. - Size: 13", 18", 24" 30"
We provide superlative grade Blade Grinder that is used in wood working purposes. 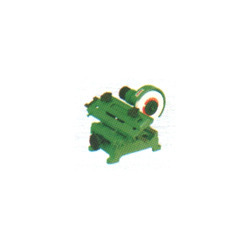 We are regarded as one of the principal manufacturer and exporter of Blade Grinder in India. We offer these Blade Grinders at highly affordable prices. Technical Specifications The machine’s air requirement is about 20 lpm at 5 kg cm. - Buffing of all size of surgical blades is possible with our machine, just by changing some parts/attachments. - A very neat looking panel consisting genuine electronic part is fitted. Fostered with rich industry experience and a highly experienced team of professionals, we are trading wide array of Gear Type Blade Grinder Machine.